Is there a difference between the bulging veins of a bodybuilder and varicose veins? Though varicose veins mean there’s a problem with the vessels’ valves, does the vascularity of a bodybuilder point to anything amiss? 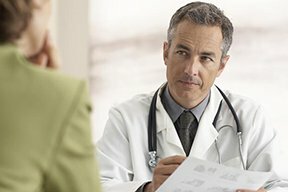 Certainly, many people know that the presence of varicose veins indicates a problem, and in some of these patients, the varicosities come with aches and pains. At a minimum, for many individuals with varicose veins, the issue is strongly cosmetic – a very undesirable look. Both competitive and non-competitive bodybuilders seek vascularity. The streaking of prominent veins up their arms and legs is much sought-after, and in fact, it’s one of the features that judges look for in contestants. It’s fair to note that people who don’t embrace muscle building find this vascularity to be unsightly or “gross,” especially in women. 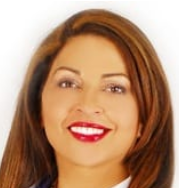 “Bodybuilders who have low body fat at competition time show normal-pattern veins on their skin surface,” says Dr. Z. Catherine Navarro, MD, with The Vein Centre of the Palm Beaches and who currently serves on the faculty of the American College of Phlebology. “Usually these veins are fairly straight, not tortuous (curvy snake-like), and flatten down when the athlete lies down,” continues Dr. Navarro. In more pronounced cases, a hulking bodybuilder’s veins may have a gnarly or squiggly appearance. These may be found in their chest, arms or shoulders — and do not indicate a valve or venous flow problem. Their lower extremity vascularity typically resembles bolts of lightning or tree branches. This finding can also be pronounced on the athlete’s chest, torso and abdominal area. From an intrinsic standpoint, a bodybuilder’s veins at contest time are not much more “bulging” than during the off-season. In fact, the veins of some bodybuilders and physique athletes, during the non-cutting or bulking phase of their training, are not particularly visible. What makes them appear bulging during a contest or photoshoot is a combination of exceedingly low body fat, dehydration (often done with the help of diuretics) and dietary sodium depletion – these tactics being carried out as contest time nears. The athlete’s veins, in and of themselves, are harmless in their very visible state. They are not at risk of tearing or leaking blood. They are safe, and the blood flows normally through them due to normal valves. The only potential harm to these athletes would be related to prolonged dehydration and/or prolonged excessively low levels of body fat. When there’s time in between contests, such athletes gain some body fat, and certainly, after a contest, they consume water and may even chow down a high sodium, high carb meal. Bodybuilders who maintain a striking display of veins year-round are maintaining low levels of body fat to make them visible. They also probably have a low sodium diet. In summary, bodybuilders have very healthy, painless veins, regardless of how “gross” they look. “However, veins that are very tortuous and painful indicate a disease state,” says Dr. Navarro. Varicose veins look sickly and often cause pain, cramping and swelling. Due to weak and inefficient valves, there is backflow of blood which distorts and enlarges the vein. Of course, there are bodybuilders or physique athletes who, by coincidence only, just happen to have varicose veins. If they are in a cutting phase or maintain a very low body fat percentage, their relished vascularity will also show. Keep in mind that it’s much easier to acquire this vascularity in the arms than in the legs. Whereas, varicose veins usually develop in the legs rather than in the arms. What if a muscle building enthusiast suspects that, along with their desired vascularity they also have undesired varicosities? “The only way to differentiate for sure is to have a duplex ultrasound in a certified facility and have it evaluated by a varicose vein specialist, preferably a Diplomate of the American Academy of Phlebology,” says Dr. Navarro. Dr. Navarro, a former director of medicine for the Wellington Regional Medical Center, helped found the Women’s Physicians Medical Society in 1988. Lorra Garrick is a former personal trainer certified through the American Council on Exercise. At Bally Total Fitness she trained women and men of all ages for fat loss, muscle building and fitness. Can Lean People Who Exercise Get Varicose Veins? 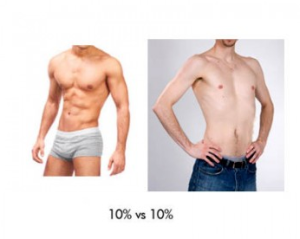 Is a Low Body Fat Percentage the Same As Thin or Skinny? Can Weight Loss and Exercise Alone Cure Venous Insufficiency? Can Leg Edema Cause a Deep Vein Thrombosis (DVT) ?